How difficult can it be to get an appointment for a HAIR cut.. This HAIR salon window is a hoot! The razor logo was the original reason for stopping. The reflections in the window have no bearing on the humor. After getting the shot I read the sign with the salon’s hours, this is where the chuckles began. Sunday Closed, Monday by appointment only, Tuesday 9am – 5pm, After Hours Appointments Available, Walk-in’s Welcome, yadda, yadda, yadda. This photo was taken Tuesday at 1:30 in the afternoon, the shop was closed. 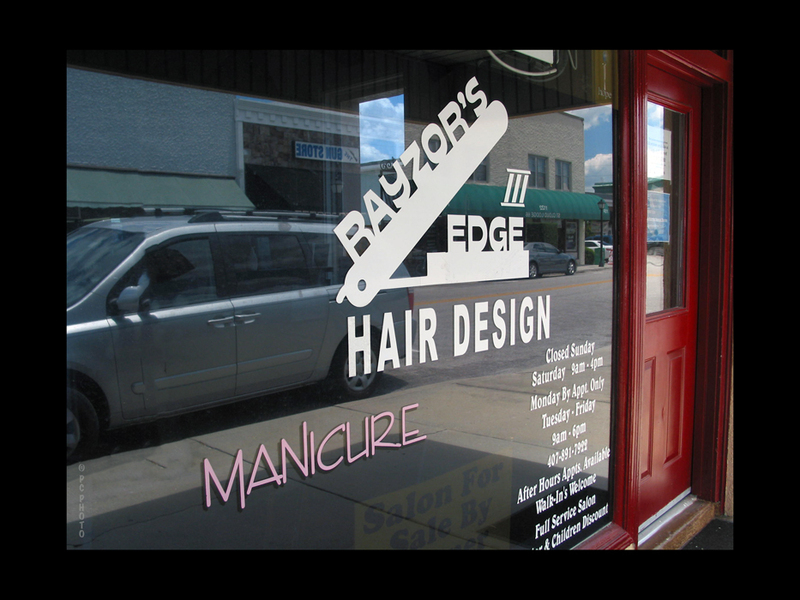 The final chuckle is located at the bottom of the image with the sign on the window sill, SALON FOR SALE. Am I the only one questioning their business model?? ?